The 49th season of the Bundesliga kicked off last Friday when defending champions Borussia Dortmund played Hamburg. The unpredictability of last season again continued on the first weekend of the season with results that some experts considered surprises. In this article, I will try to predict Europe’s most openly contested league. I will analyse each of the 18 teams and how they might finish up come the end of May. The Bundesliga debutants will have their work cut out to stay up. A row between striker Michael Thurk and manager Jos Luhukay that looks like resulting in the player’s departure won’t help matters either. Lorenzo Davids, cousin of Edgar Davids, will provide a creative spark in the midfield but anything but last place would be a big surprise. It’ll be interesting to see if new manager Robin Dutt will play the same pressing game with this team as he did at Freiburg. Despite the loss of Arturo Vidal to Juventus, there is much talent in this squad to call them a top three side. In Andre Schurrle, Leverkusen have signed one of the most exciting young German strikers. But the distraction of a Champions League run and a slightly shaky defence might hamper this side’s chances of being real championship contenders. Bayern president Uli Hoeness has said that the club does not aim to finish in second place this season. The introduction of Brazillian right-back Rafinha now allows Phillipp Lahm to be much more of a threat on the left flank. Jerome Boateng might address Bayern’s age old problem in the heart of defence. Manuel Neuer’s all round ability will make sure Bayern’s goalkeeping problems since Oliver Kahn retired are solved. Bayern have brought back Jupp Heynckes, who is an experienced manager and will make the team more balanced. Bayern are beatable but it’s hard to see past them for certain championship contenders. Dortmund have done well to keep almost their entire team and also snapping up various new additions to add depth to the squad. The recent surprise champions have struggled to keep up their high-tempo game in pre-season, and playing in the Champions League where they will expect a tough draw, will certainly give them a difficult learning process. But Jurgen Klopp and his side are good enough to finish in the top three and give their fan’s another great season. Borussia Monchengladbach will do well to stay up again this season. Manger Lucien Favre seems skilled at getting the most out of a fairly limited team. The experienced Swedish defender Oscar Wendt will add some iron at the back and midfielder Yuki Otsu is another Japanese player making a name for himself in the Bundesliga. There’s a danger that star man Marco Reus will get a lot of tempting offers in January. Freiburg have brought in striker Garra Dembele from Levski Sofa in anticipation of top goal-scorer Papiss Demba Cisse leaving after an interest from a number of clubs. But if they manage to keep hold of him, Freiburg will have two superb strikers this season. Another midtable spot seems most likely but Marcus Sorg is a fairly new manager at this level, especially as they have tough early matches. It’s all change at Hamburg this season. They’ve got rid of a large batch of big names and have replaced them with young talents from Chelsea’s academy. It’s a risky strategy and as a result, Hamburg are easily the most unpredictable team in this amazingly open league. Mixed performances pre-season hint that building a new and successful team will take some time. Hannover will have an unchanged team from last season which, in my view, is a sign of progress. Qualifying for the Europe League has made it easier to keep star players such as Didier Ya Konan, Manuel Schmiedebach and Christian Schulz. But this season, with teams strengthening, Mirko Slomka’s men may find it tougher than last year and are unlikely reach the same heights. However, it should be another season to savour for this rising German team. Manager Markus Babbel has brought in some new, impressive players considering the tight budget he has to work with. However, I believe it won’t be enough to survive. Babbel is a coach who gets a team to play well but is less skilled in finding solutions when results aren’t going as hoped. In the tough competition, the capital’s main team might not be quite up to scratch. The years of big spending seem to be over at Hoffenheim. Supported by billionaire, Dietmar Hopp, the German club have brought in no one of any real value to the squad. But there are also plenty of returning loan players such as Wellington and Franco Zucolini who could really add depth to the squad. General manager Ernst Tanner has targeted a top half finish but Hoffenheim will just miss out, despite the excellent impact of new coach Holger Stanislawski pre-season. In the 2010/11 season, Kaiserslautern was a surprise package yet their exploits were overshadowed by other surprise teams Mainz, Nurnberg and Hannover. But this year, they’re most likely to outshine their rivals thanks to the capture of Israeli striker Itay Shechter from Hapoel Tel Aviv, a player with Champions League experience, and his midfield compatriot Gil Vermouth. Manager Marco Kurz has coached a well drilled squad to play with of bit of style and he can also rely on passionate home support; definitely a team to watch. A big row has been brewing at this, until recently, rather small club. New manager Stale Solbakken has fallen out with star player Lukas Podolski after stripping him of the captaincy. Solbakken’s methods will ensure Koln won’t get sucked into a relegation dogfight, but it’s hard to see them getting anywhere near the top of the table. Manager Thomas Tuchel says that his club are 100% different this year. But is that different in a good way? Mainz has lost the successful, creative pairing of Andre Schurrle and Lewis Holtby and there are going to be setbacks in the rebuilding of a team that aren’t going to be able to reproduce the high-pressing game, that took them on the brink of Champions League qualification. However, relegation is not a likely possibility. After a fantastic season, Nurnberg narrowly missed out on the Europa League. But that might’ve been a blessing in disguise as the loss of their three most influential players has severely weakened the squad and probably wouldn’t have been able to cope. Although, manager Dieter Hecking’s skills and a batch of promising youngsters will see them do alright. Schalke overachieved in Europe and underachieved in the league last season. However, this season, they should do much better. Schalke have plenty of firepower if Raul and Klaas-Jan Huntelaar can stay fit. But manager Ralf Rangwick will want to get rid a good dozen of unwanted players left over from the Felix Magath days. An early Europa League exit also might see them finish even higher than expected. Injury problems in the defence will make Stuttgart’s start to the 2011/12 season very tough. But their luck should improve immensely if Mexican centre-back Maza settles in and striker Julian Schieber can score. Manager Bruno Labbadia is a greatly flawed manager but his persevering tactical skills should be able to lead this young side near the top of the table once again. A transfer embargo has been set in place by the board, who are financially struggling. This will probably hamper Werder’s efforts this season but on the other hand, star players like Per Mertesacker and Marko Marin look set to stay at the club. It’s hard to imagine Thomas Schaaf’s side will play as badly as they did last season. This unbalanced team will concede goals in bunches but they have enough firepower to score enough goals to get back into the top half of the table. Felix Magath is well known for buying and buying and buying in the transfer market and the new manager will ensure there will be at least one or two new arrivals. Wolfsburg will be sturdier at the back this season but there’s little flair and creativity in the midfield if the out of favour, Diego, leaves. An unpredictable season is the best the fans can hope for this time around before Magath will spend his way back into contention come next summer. We have a full card of fixtures this weekend in the SPL this weekend kicking off with Champions Rangers' trip to the highlands to take on Inverness Caley Thistle before four 3 O'Clock kick offs where Celtic host Dundee Utd, Hearts take on Aberdeen at Tynecastle, newboys Dunfermline make the trip to Perth to face St. Johnstone and league leaders Motherwell face a tough task as they take on St. Mirren at new St. Mirren Park. Sunday's match sees Hibs take on Kilmarnock at Rugby Park. Champions Rangers make the long trip up north to face Inverness in the early kick-off on Saturday with a number of injury worries hanging over them. Sasa Papac and Kyle Lafferty are definitely ruled out, while David Weir is highly unlikely to make the trip. Nikica Jelavic should shake off a knee injury picked up in last Saturdays friendly defeat to Chelsea at Ibrox and new signing Dorin Goian should also be fit after injury. Steven Whittaker is touch and go as to whether he plays on Saturday, after picking up a toe injury shortly before his red card shame in Sweden. Inverness also have a number of injuries to contend with, with 5 first team players out injured for Saturday. New signings Billy McKay and Josh Meekings are out, Kenny Gillett misses out due a hamstring injury although his injury isn't as serious as first thought, David Proctor also misses out due to a hamstring injury and Lee Cox is the final Inverness player to miss out. Celtic go into this match on the back of a 1-0 victory over Aberdeen, but are without last years Scottish Player of the Year, Emilio Izzaguire who this week was ruled out for 6 months due to a broken ankle, Beram Kayal also misses out due an injury picked up playing for Israel midweek. Glenn Loovens and Thomas Rogne are also injury doubts for Neil Lennons side. Charlie Mulgrew is likely to fill in at left back for Izzaguire with Adam Matthews at right back and fellow summer signing Kelvin Wilson is likely to be partnered by Daniel Majstorovic. Dundee Utd are boosted by the return of midfielder Danny Swanson, but will be without fellow midfielder Scott Severin who faces a long time on the physio table after a freak injury which left him with a triple leg break and ankle ligament damage. United could also be without another midfielder in Gary McKay-Stevens. Hearts could have Danny Grainger back for tomorrow's match despite him missing most of the weeks training by being granted personal leave to be with his pregnant wife. David Templeton, Adrian Mrowiec and Jamie Hamill are expected to be passed fit, but defender Andy Webster and playmaker Mehdi Taouil are unlikely to play. Definitely out are strikers Kevin Kyle and Callum Elliot. Aberdeen team news not out. Midfielder Chris Millar has been ruled out of tomorrows match for St. Johnstone who are also missing long term injury casualty Graham Gartland, and striker Sam Parkin, although fellow striker Francisco Sandaza is back in the squad. Midfielders Steven Bell and Nicky Phinn miss out for Dunfermline, as does former St. Johnstone defender Kevin Rutkiewicz. St. Mirren face a number of injury problems for this weekends clash with Motherwell, with Darren McGregor joining Hugh Murray, Aaron Mooy, Graeme Smith and David Barron in the stands. Another joining them in Nigel Hasselbaink who failed to get his red card against Inverness overturned. Paul McQuade returns from injury and could see himself lining up up front in tomorrows match. League leaders Motherwell will be without versatile defender Steven Saunders after he was ruled out for the season with an achilles injury, picked up just 4 minutes into Scotland U-21's match with Norway midweek. Shaun Hutchinson will replace him at the back after he returned from injury this week, but midfielder Keith Lasley is suspended. Kilmarnock will be missing new loan signing Jorge Galan who waits on international clearance before he can play for the club. Also missing are William Gros and Danny Rachi who should be fit for Hearts next week. Hibs have new boy Isaiah Osbourne available after his move from Aston Villa, as well as Newcastle loanee Phil Airey. No other team news is available. Juan Mata is a Spanish international, who recently won the U-21 European Championship and is a key player for his club, Valencia. Mata has made around 176 appearances with Valencia, scoring 46 goals in 4 seasons with the club after joining them from Real Madrid. Mata is a player known for his hardworking style, gifted, excellent dribbler, quick, clever, versatile and also quite creative. He also has an excellent left foot and a good eye for goal. I believe that Juan Mata will more likely be a replacement for Samir Nasri and not for Cesc Fabregas. Mata plays more as a “False 10”, he’s a player that likes to drift more to the wing and make his runs and plays. He plays more on the left wing, just like Nasri with the Gunners, so he’ll be a like for like replacement. He can also play in Fabregas’s position, as proven last season with Valencia, after David Silva’s departure, became the fulcrum and playmaker of the side. He was excellent last season, scoring 10 goals and making 15 assists in 44 appearances, which is his best season yet, displaying his versatility and creativity. But still I believe he’ll be playing on the left hand side, if he signs for Arsenal. Juan Mata, if he does sign, will be a great signing. Not only because of his skillful style of play and creativity, but also his hardworking nature, he’s a player that runs his socks off for the team and will give his all. He’s an excellent player that is improving year by year, would fit in to Arsenal’s style of play and can become a fan-favorite. Juan Mata is reportedly valued by Valencia at 30 million pounds, but it is speculated that a fee of around 22-25 million pounds will be enough to acquire him. I really hope the Gunners do, he’ll be a great signing. The Premier League returns this weekend, much to the relief of football fans who've awaited it since the end of last season, and whose nerves were rattled with the possibility of postponements due to the London riots. Thankfully nine of the ten fixtures have made it through with only Spurs vs Everton being called off. Here is a quick glance at a few of the fixtures. Reigning champions Manchester United start the defence of their title against Roy Hodgson's West Brom, having added De Gea, Jones and Young to their ranks over the summer. With no sign of a central midfielder joining before the window closes, all eyes will be on Tom Cleverley who has impressed in pre-season and in previous loan spells. West Brom completed the signing of Ireland striker Shane Long this week, the midlands club hoping he can bring goals to the club who relied heavily on Peter Odemwingie to score last season. Odemwingie is a doubt for the match. Arsenal travel to Newcastle, hoping a repeat of last season's dramatic turnaround isn't on the cards again. The Gunners look to be losing Fabregas and Nasri, but still have a talented squad with Aaron Ramsey looking close to regaining his pre-injury form. Newcastle have lost Luis Enrique to Liverpool and Kevin Nolan to West Ham, and have spent the past couple of weeks in a war of words with temperamental midfielder Joey Barton. They have however signed striker Demba Ba who performed well on loan at West Ham last season and will add the goals the team were sorely missing. The new Chelsea under Andre Villas-Boas travel north to take on a Stoke side which some believe has done the shrewdest business in the transfer window. Tony Pulis has added defenders Jonathan Woodgate and Matthew Upson to the club, both moving without a fee. They also have interest in signing Tottenham's Wilson Palacios and Peter Crouch to further bolster their squad. Chelsea are again without Michael Essien who injured his knee in training, which may give opportunity to highly rated youngster Josh McEachran. Up front, the London club have doubts over Fernando Torres, who is struggling with concussion but they can still pick from Drogba and Anelka. Daniel Sturridge who impressed on loan at Bolton for the latter part of last season is suspended and Romelu Lukaku hasn't completed his transfer in time to play. I remember the days, not so long ago, that not even a whisper of Arsene Wenger’s sacking would be mentioned. Arsenal fans had the upmost believe that Wenger was, and always will be, the right man for the job. Oh how things have changed. It was towards the end of last season that Arsenal and their manager came under scrutiny. Following being knocked out of the FA Cup, the Champions League (in the ugliest of fashions) and losing the Carling Cup final to a horrific penalty area mix up in the space of just two weeks, pundits, journalists and even fans started to question Wenger’s place at the Club. And just to tip it all of, Arsenal somehow managed to throw away any chance of winning the Premier League, from an unbelievably promising position. Some fans, however, still showed their support for the manager. They still trusted Arsene. But even the most optimistic of Gooners are now looking in despair towards the Frenchman. Many Arsenal supporters have been calling for change. A change of philosophy, a change to 4-4-2 and most importantly, a change in personnel. Us Gooners no longer want to see the likes of Almunia costing us games against mid table opposition, we no longer want to see Eboue giving away penalties in the final minutes of massive games. To be fair, Arsene looks to be trying to get rid of our lacklustre players, with reports that Almunia, Bendtner and Eboue are being shown the exit door. We also need a change in players coming in. Gervinho, to his credit, has been excellent so far this pre-season, but I just don’t see him making a massive difference. We need proven, world class players. Players like Benzema, like Mata. We also need that little bit of Premier League experience in the centre back position. I’d love to see either Samba or Cahill at The Emirates, or maybe even both. But none such a move has materialised yet. Of course there is still the major obstacle of keeping our best players. Cesc Fabregas, no matter what some people say, is the single player that carries Arsenal along. He can make an opportunity out of nothing and can turn defence in to attack in a split second. However, you have to face the reality. He is ‘torn between two loves’, Wenger says. Let me tell you now, his love for Barcelona is much deeper than his love for ours. It’s almost inevitable that our captain will play his trade for the Catalans this season. This means we need to look to the future... Who can fill his boots? My first instinct tells me Aaron Ramsey. I solely believe that if he had not have broken his leg, he would be in Jack Wilshere’s position. Therefore, how amazing would it be to have another Jack playing alongside him? There we go then. Some fans think that Samir Nasri should take Cesc’s place. My respect for the ‘Little Prince’ has gone from sky high to absolutely none. I don’t even think this guy deserves to wear our kit. Send him to Manchester City, hopefully he’ll become as successful as the other ex Arsenal players there. Let’s imagine that Samir does move to City. Who will take over on that left wing? Gervinho is definitely adapted to playing in that position, and of course, we have the option of playing Andrei Arshavin there. 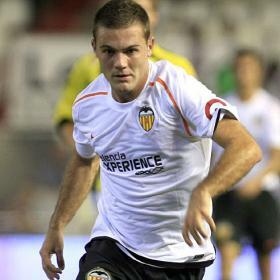 But what I would like to see is Valencia’s prize asset Juan Mata coming in. it would allow a little squad rotation in the front three. We’d have the options of Mata, Chamakh, Van Persie, Gervinho, Walcott, Arshavin and maybe even Vela or Chamberlain. In my opinion that’d be great. Players get better with competition for places. Despite what many believe, I think Arsenal can still be title winners. Arsene Wenger just need to insure he makes the right steps to bring success back to the Club.